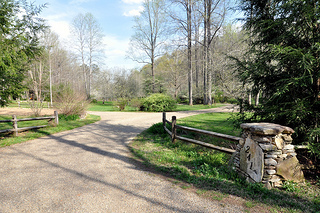 220 acres of community property surround the 9 acre homeplace. Walk or hike the extensive trail system, visit the two waterfalls in the boulder strewn mini gorge, read a book at the library cabin or walk to the swim pond and sit at the gazebo. Even the roadways are great walkways as there is minimal traffic to encounter. 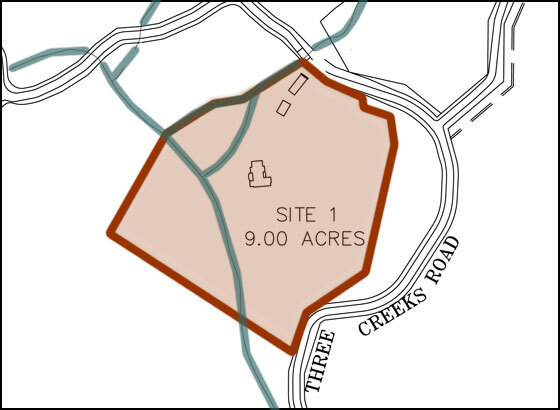 Site 1 is the community's largest parcel, encompassing 9 acres. 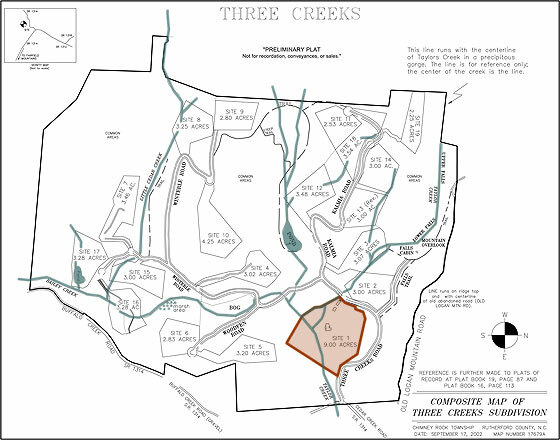 It features over 800ft of creek frontage at the confluence of Taylor, Bailey and Near Little Cedar Creeks. It is also surrounded by protected property adding to it's diversity. The site is connected by footbridge to your very own private island that leads offsite to the abundant community trail system.